Every car owner wants to get the most out of their car, and it’s engine. When it is performing as it should, you won’t have any warning signs, and it will drive like it’s brand new. However, if you have noticed a loss in power or are hearing unusual sounds, this could mean that your engine has become less efficient. Let’s take a look at some of the signs that could be causing your car’s engine not to be operating at its full potential. The onboard diagnostics (OBD) can provide you clues as to what is going on with your vehicle. Engine diagnostics testing will allow a technician to gain insight into the problem. If a problem is found, fixing it should clear up any issue you might be having. Doing so will also turn the check engine light off, and no one likes seeing this on. Pesky vacuum leaks can rob your engine of power. It can also create weird sounds from the engine bay. Some of the most notable signs can be a hesitation from your engine or even a sputter. The result will be a loss of power and poor fuel economy. At times, these are easy fixes; the hardest part is locating the leak. 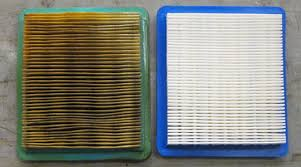 An overly dirty air filter will restrict the amount of air that enters the intake of your engine. It is one of the primary actions that need to happen for your engine to run. Air mixed with fuel plus spark is the essential break down. If your air filter hasn’t been changed in a while, taking a quick look might help to identify if this is the issue. An air filter starts out white, if it is black, and filled with debris it is time for a change. Just like a vacuum leak, exhaust leaks will steal power from your engine as well. They will have a slightly loud sound associated with the hole. Most everything in your engine works off of pressure. If there is an exhaust leak, it can cause gases to move back into the combustion chambers and not out of the car. 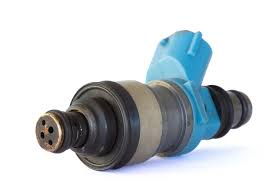 A clogged fuel injector can cause a multitude of problems. You will have poor fuel economy for starters, and then a rough idle on top of that. If an engine is running to rich (using more fuel) or running lean (not using enough), it will result in a performance issue. You may also get a test engine light for this because often a misfire will happen. In more severe cases, a clogged injector may cause your engine to stall. In between oil changes, it isn’t uncommon for a car to have a minor loss in oil, more so in older vehicles. Newer vehicles don’t typically experience this. If you are losing oil, it could be from piston rings being worn out or even a leaking oil pan gasket. The only way to know for sure is to have an engine service done by an automotive shop. As you notice, there are a few issues that can happen with your engine and it’s components that will lead it not to perform the way it should. 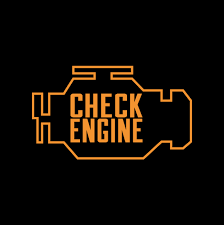 If you have a check engine light on, or it is running different bring it to a professional that can run a diagnostic test on it.